74) As you can see, I’m a little — oh, shall we say, distressed? — in this photo. 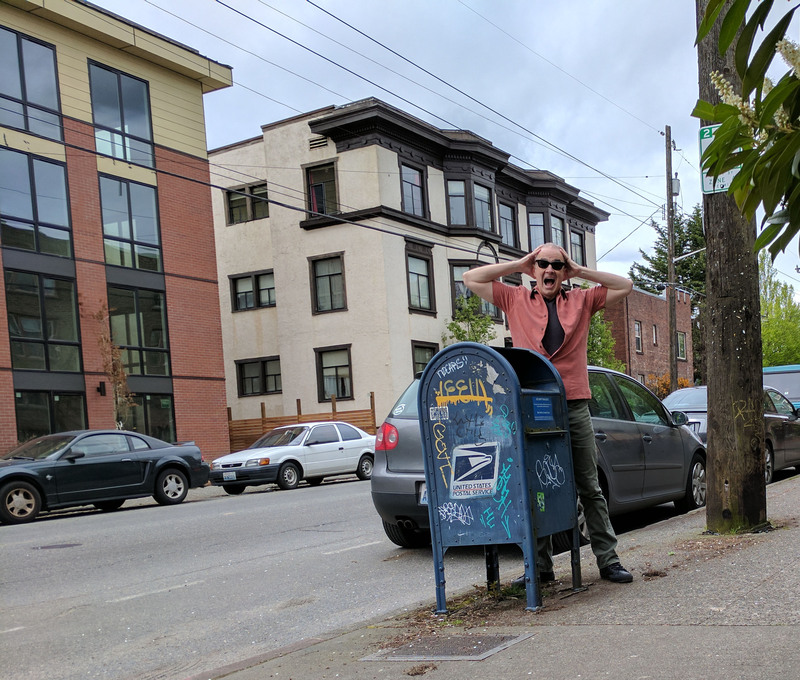 Am I upset about all the graffiti on this Capitol Hill mailbox? No. Am I really, really sure that I’m not bothered by the graffiti? Yes, I’m sure. You see, what has me up in arms in that moments before this photo was snapped, I discovered that my wallet was not in my pocket and my brain was already starting to process just how big of a headache this was going to be for me. There was a happy ending, however, when I discovered my wallet was safe and sound at home. So don’t go to 15th Ave E at E Howell Street looking for it… it’s not there.